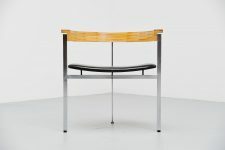 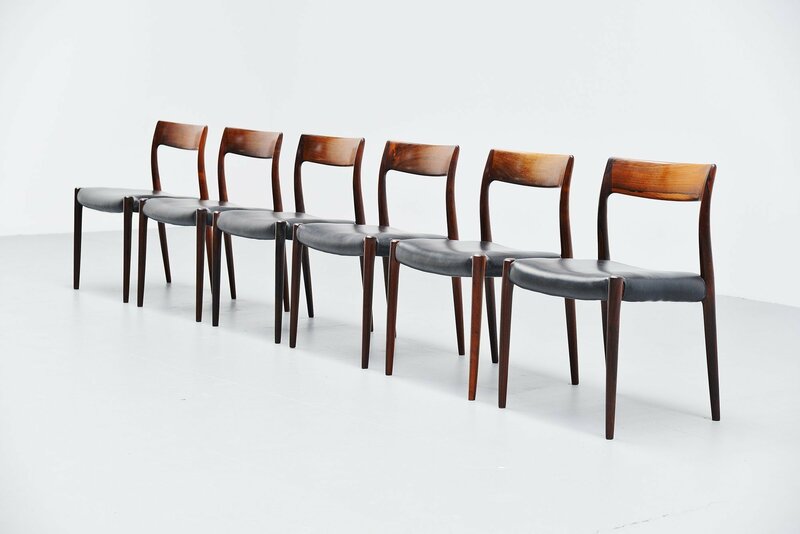 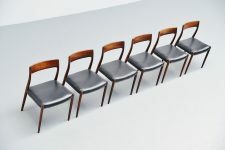 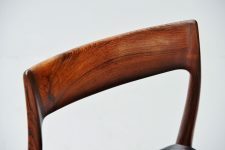 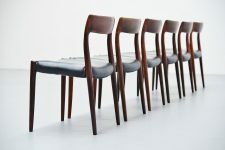 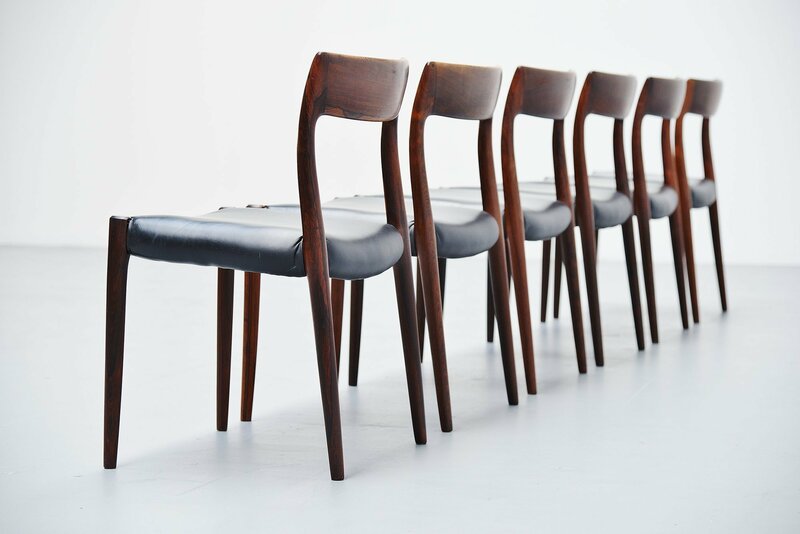 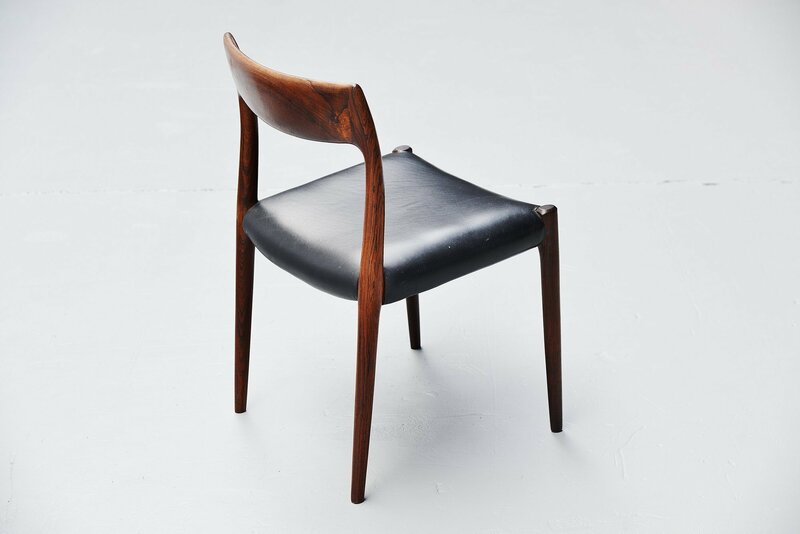 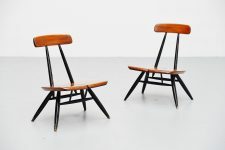 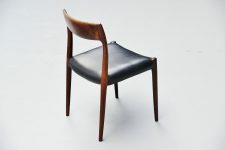 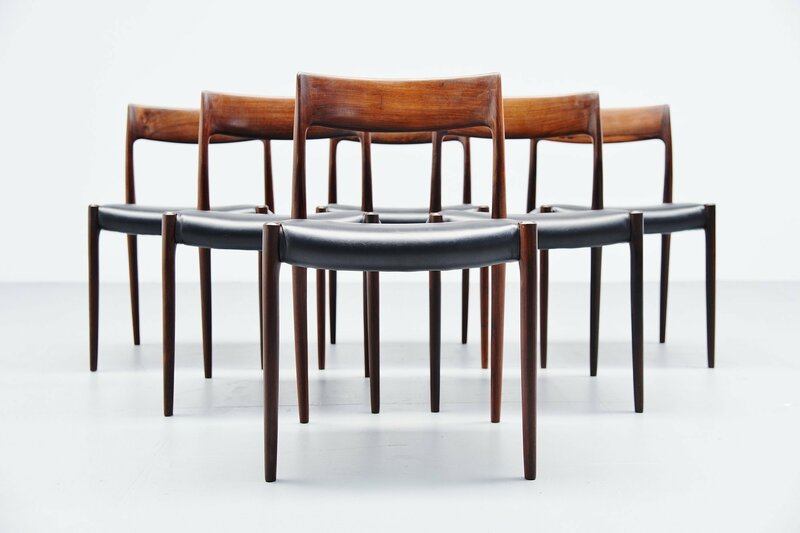 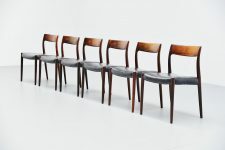 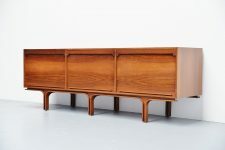 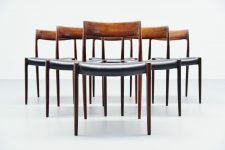 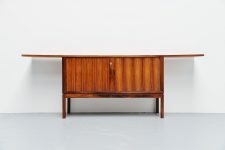 Very nice set of 6 rosewood dining chairs model 77 designed by Niels Moller and manufactured by J.L. 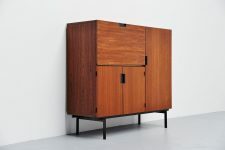 Møller Mobelfabrik, Denmark 1959. 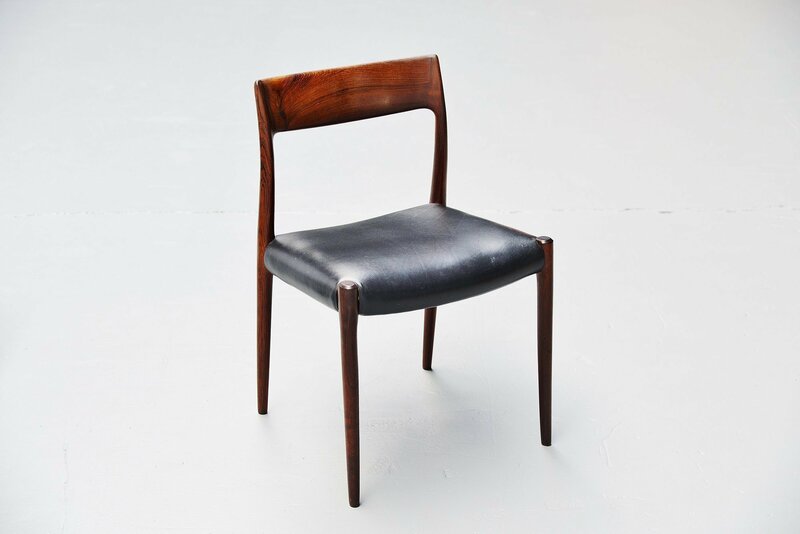 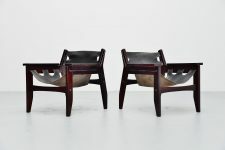 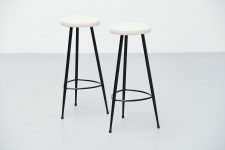 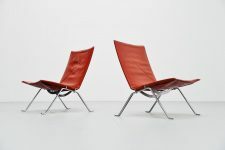 These chairs are made of solid rosewood wood and have original black leather upholstery that shows a very nice patina from age and usage. 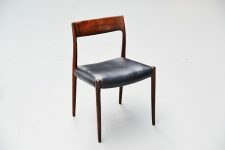 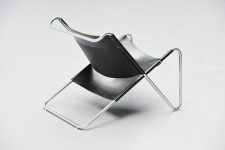 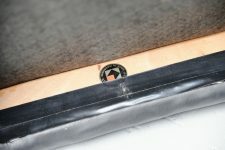 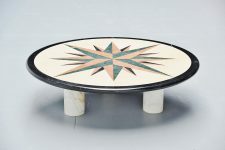 The chairs are in very good original condition and are all marked with the Moller stamp at the bottom of the seat. 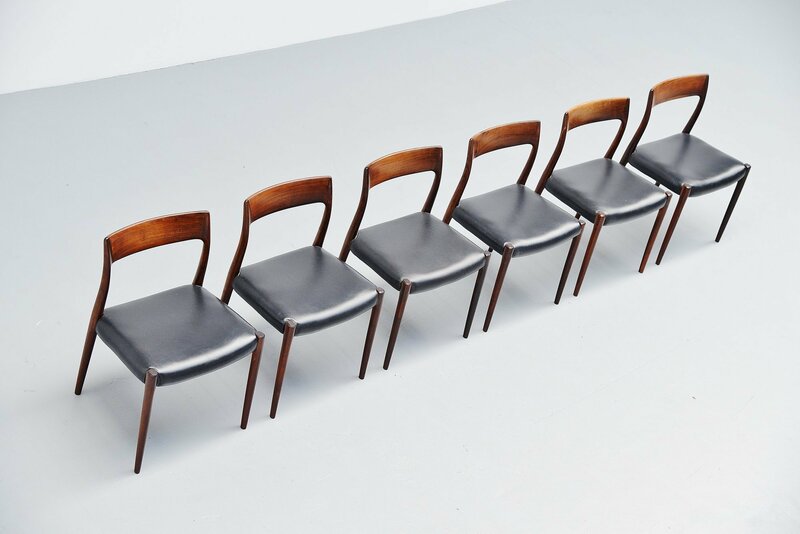 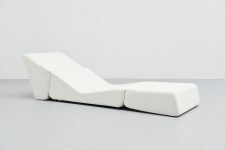 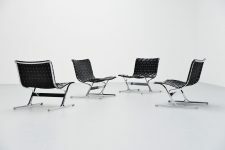 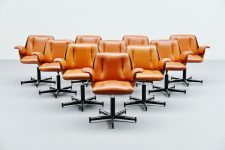 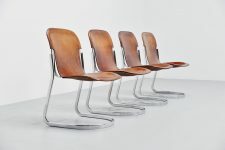 Very nice and elegant set of 6 chairs with comfortable seating.